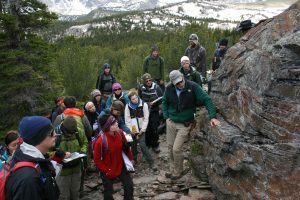 The national initiative on the Future of Undergraduate Geoscience Education has developed a community vision for undergraduate geoscience education through input from geoscience employers and academics from across the country and support from the National Science Foundation. We have identified those conceptual understandings, skills, and competencies needed by undergraduate geoscience students to prepare them for the future workforce and best practices for achieving these student learning outcomes. We have begun to implement the community vision into undergraduate programs and are developing best practices for curricular and program change. The Summits and Workshops are described below, in chronological order, with links to the talks, Powerpoints, discussions, and other related information for each event. The online survey and a summary of the results is also available. What content, competencies, and skills do undergraduates need to be successful in graduate school and the future workforce? What are the best ways of teaching and using technology to enhance student learning? How can we broaden participation and retention of underrepresented groups and prepare K-12 science teachers to build a robust, diverse and informed future geoscience workforce? Please participate in our post-meeting Survey for participants and non-participants. The online, ongoing survey of the geoscience community has had ~455 respondents so far with: 354 academics (78%), 76 industry (17%), 13 government agencies (3%), 7 other (1%), 5 professional society representatives (1%). Of these, 85% were not Summit participants, indicating that between the ~200 Summit participants and the ~390 non-participant survey respondent, we are receiving input from a large segment of the geoscience community. The gender distribution on the survey is 308 male and 147 female. Survey Results are available that summarize the community’s views on the skills, competencies, and conceptual understandings needed for graduate school and/or the future workforce and he status departments in terms of curriculum reform, use of various teaching methods, and constraints on their programs. The Geoscience Employers Workshop provided valuable input from geoscience employers on the skills, concepts and conceptual understandings needed by undergraduates for the current and future workforce and the role of employers in helping departments implement the developing community vision. Overall there was strong agreement with Summit and survey outcomes regardless of type of employer, and in addition to their own views, they provided more granularity on skills and concepts. 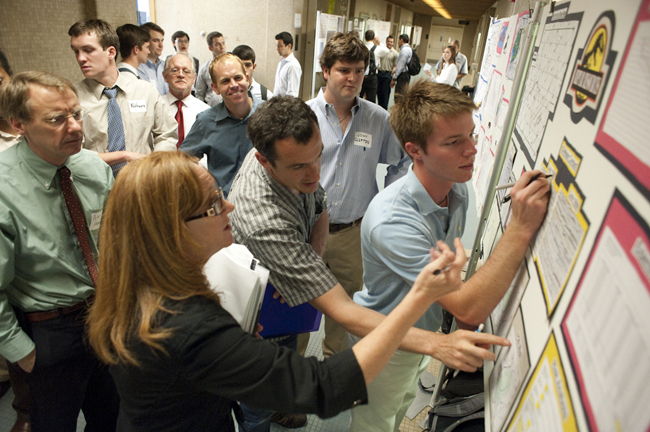 The 46 participants included an even distribution of employers from the petroleum industries; hydrology, engineering and environmental consulting companies; and federal agencies that employ geoscientists, along with representatives from some of the geoscience professional societies. One participant represented the mining. Results are available in a Geoscience Employers Workshop Summary and a presentation given for a AGU/AGI Heads and Chairs webinar on October 9, 2015 and the Earth Educators Rendezvous in July, 2015. This NSF-sponsored summit brought together ~100 geoscience academic leaders from R1 research universities with undergraduate programs, four-year private and state colleges (4YC), and 2-year community colleges (2YC) from across the country. The summit participants discussed the developing community vision for undergraduate geoscience education and developed strategies for implementing this vision in departments across the country. Over the past two years, we have engaged a diverse spectrum of the geoscience academic and employer community in a comprehensive review of the skills, competencies, and conceptual understandings needed in geoscience undergraduate programs, the best methods of producing these learning outcomes, and how to best broaden, recruit and retain undergraduate geoscience students, especially underrepresented groups (see below). This summit was specifically designed for administrative leaders who have the ability to make and lead change.